Christmas went pretty well this year. As usual, the anticipation was worse. After work on Christmas Eve I stopped by the florist and picked up some balloons for us to release on Christmas. I got 3 purple for Carleigh and 3 yellow for Jordan. I was disappointed when the next morning one yellow and one purple were a little deflated. They should’ve held up longer than that, but I was at least glad that the remaining 4 were still floating. We woke up Christmas morning and ate breakfast and opened presents. Then we all got dressed and went to the cemetery to release the balloons. 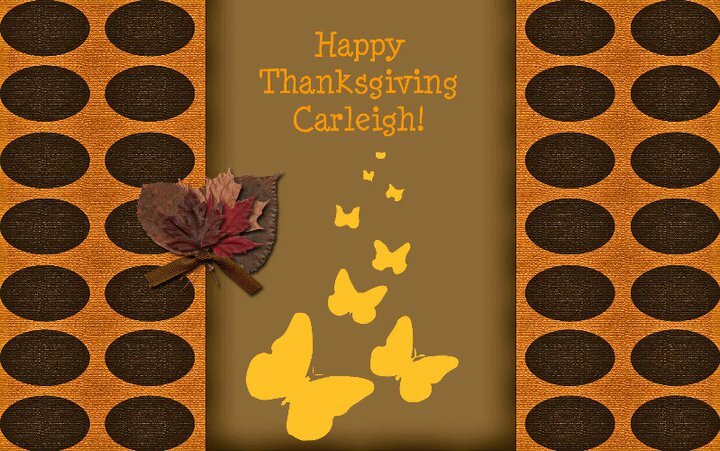 I brought some of Carleigh’s cards that were left over from her party for us to write notes on to send up with the balloons. I wanted to let Kyndra release the balloons but she was off playing in the snow and wouldn’t come over by me so I released them myself. They slowly floated away. It was kinda chilly out so as soon as the balloons were released we packed the kids back up in the van. Then I took a few moments by myself at her grave before we left. And of course I had Anthony take photos of it all. Here are some of them. Sorry that I did not post this yesterday. I had intended on doing so after supper but then I didn't feel good. Thanks to all who entered my Christmas giveaway from My Forever Child! I wish I could give one to each of you! Congrats to Trena at Free to Fly! I will get in touch with you! I hope everyone is having a good Christmas even though we are missing our babies. 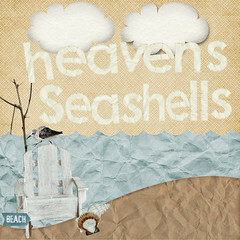 Thanks to Franchesca at Small Bird Studio this blog now has a new look! I just love it. Franchesca nailed it on the head on the first draft with what I wanted. She's just awesome. I'm still fixing a few things and arranging so you may see some subtle changes over the next day or so as I get everything how I want it. 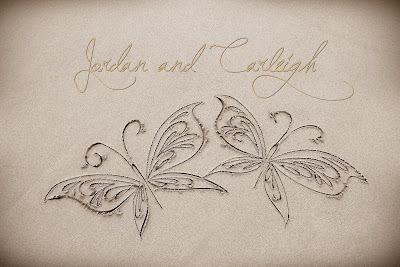 You may also notice I will be incorporating more of Jordan into this blog instead of on my family blog. I had been thinking of doing that but hadn't yet. I figured now would be a good time with the new changes. So you may see some older posts making their way over here. I had Franchesca add an additional pic to my header in addition to Carleigh's hands and feet. It's one I've always liked. It's a pic of Anthony and me at the National Memorial for the Unborn where Jordan has a plaque. 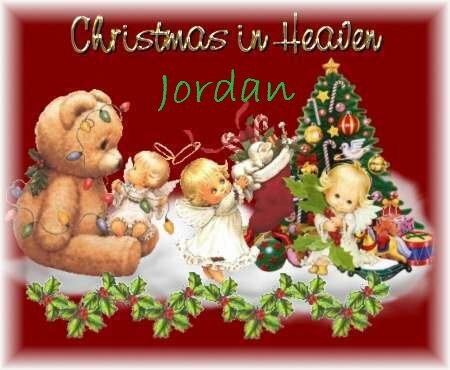 The pic was taken on our first visit there when we had a memorial service and placed Jordan's plaque on the wall. We had just released a balloon into the sky. You may notice the verse that I chose under the header. I chose it for a specific reason which can be explained below. My flesh and my heart may fail- Flesh and heart here seem to refer to the whole man, body and soul; and the idea is, that his powers of body and mind failed; were spent; were exhausted. This seems to have been said in an "ideal" sense, or by anticipation. He does not mean to say that his strength then had actually failed, but he seems to have placed himself by imagination in the situation where his strength "would" be all gone - in sickness, in weakness, in sorrow, on the bed of death. He asks himself now what would be his strength then - what would be the object of chief interest and love - on what he would rely; and he answers without hesitation, and with entire confidence, that he could rely on God, and that He would be his portion forever. Even then, when heart and flesh should fail, when all the powers of mind and body should be exhausted, the love of God would survive, and he would find strength and joy in Him. But God is the strength of my heart - as in Hebrew, "rock;" the rock on which my heart relies; that is, my refuge, my defense. And my portion forever - The source of my happiness. Not wealth, then; not honor; not earthly friends; not fame - will be my reliance and the ground of my hope; but that which I shall regard as most valuable - my supreme joy and rejoicing - will be the fact that God is my friend and portion. With all the doubts which I have had in regard to the rectitude of his government, I am sure that when I come to die, I shall cling to him as my hope, my joy, my all. My last refuge - my sufficient refuge - is God. When people come to die, they have "no other refuge" but God. Nothing that they can accumulate of this world's goods will meet their needs then, for God only can give strength and comfort on the bed of death. Of each and all, however vigorous they may now be, it will be true that "flesh and heart" will "fail;" of each and all it is true that when this shall occur, none but God can be the portion and the strength of the soul. Oh and BTW, today's the last day to enter into my Christmas giveaway! Just thought I would share all the different ornaments that are on our tree for our babies. Last year I had a separate little tree but this year I decided to hang them all on the big tree. Who knows what I'll do next year. These ornaments are ones that hung on our tree last year. These are the newest additions for this year. Thank you Sarita, Ines, Lea, and Mattie. I am thinking at this rate I may just need a separate big tree for all my ornaments for them! I would actually love that! Thank you to everyone who has sent me more name photos!!! 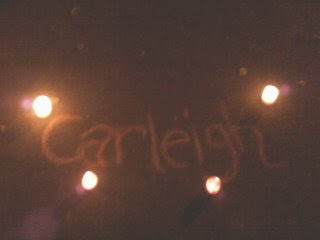 Created by Carly. I won this one in one of the giveaways she has held. 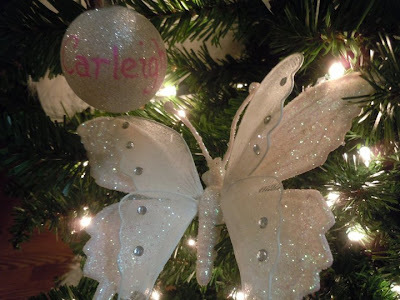 Today I have a lovely Christmas giveaway for those who have lost a child. Many thanks to Sue at My Forever Child for working with with me on this and always being so generous. You are a wonderful person and a great friend! You can check out the My Forever Child site to see all that Sue has to offer. 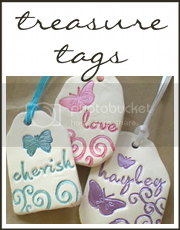 You can purchase a piece from the site and personalize it or have her make you a custom piece that you have in mind. I have done both and can attest to the high quality craftsmanship and personable service that Sue offers. I am so excited for this giveaway and for the person who wins. 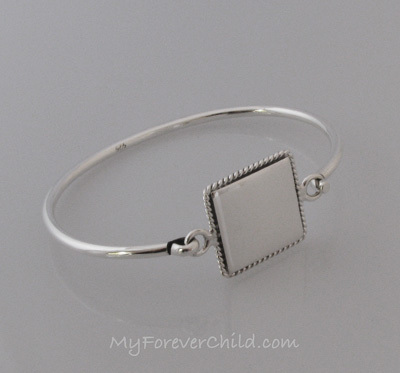 This giveaway is for a Sterling Silver square bangle bracelet with rope edging detail for an elegant look. You’ll love the hefty weight in this high quality sterling silver piece. 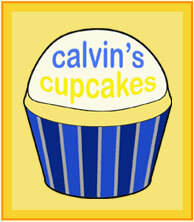 The large .75” x .75” square front plate can be engraved with 2 footprints, or 2 handprints, or 1 hand and 1 foot. The back plate can be engraved with up to 3 lines of personalization. The winner will have their child’s hand and/or footprint images custom engraved onto the bangle bracelet. The finished piece will be photographed as a sample picture on the My Forever Child website. I have to say I love this bangle bracelet and so want one for myself!!! This giveaway will be open until December 24th at 11:59 pm EST. The winner of the bracelet will be announced on Christmas. 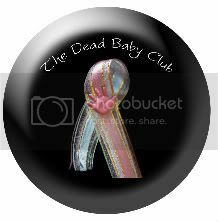 To enter the giveaway leave me a comment and tell me about the baby whose prints would be on the bracelet. This giveaway is only open to those who have lost a child please. Just thought I would share my gifts that I got from my friend Amy from the Faces of Loss, Faces of Hope gift exchange. I am happy to have met Amy and to know her babies Joey Skylor and Bryson. Thanks so much Amy for the gifts and for remembering my babies with me! Thanks to Heather for the gift certificate to The Vintage Pearl. I haven't bought anything yet but I am excited to! I won Lea's giveaway she had for the 25 days of Giveaways. 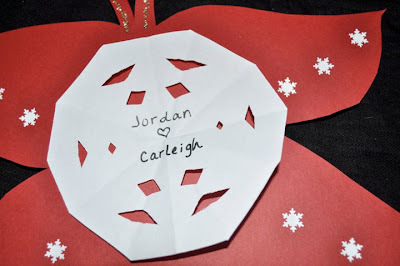 She made a lovely ornament and sent a little something extra too. :) Thank you!! Ines made me an ornament for the Remembering Together 2010 Holiday Ornament Swap. 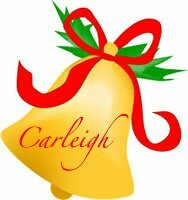 She made a felt ornament stitched with Carleigh's name and it is adorable! Thank you! And I got my BLM addy book from Tiffany. I love it!! She did such a great job on it! You can get one too at Written from the Heart. I'm still working on getting all my addresses and such in. I'm only on the B's right now. 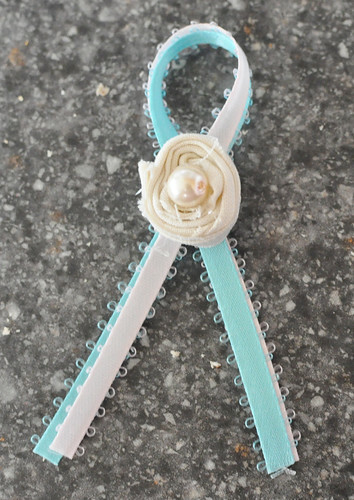 And Mattie sent me something a little extra for my heavenly babies and my earthly babies when I got a tutu off of her. For my heavenly babies she sent me some butterflies! I love the them! Thank you! Can it really have been that long already? Has so many years already passed since that day? It used to be so hazy to me but time and the desire to know has brought back a lot that had been tucked away for so many years. In a way, I loathe this day because of what happened and how I wasn't strong enough to make a different choice. But I know I have been covered by God's forgiveness. I know He loves me and I know that Jordan loves me, despite what I have done. Happy Birthday Jordan. You weren't born onto this earth, but you were born into Heaven. Mommy loves you now and always. The song below is one I found 2 years ago. I'm not much into rap but I connect with this song. "There's something concerning on the ultrasound....."
I knew something was wrong but I didn't believe it would be something fatal. It had crossed my mind that it could be, but I didn't think it would happen to us. Well, it did. 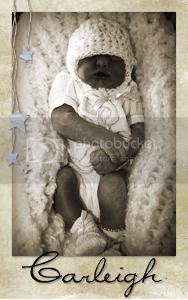 I only have 3 ultrasound pictures from that day and none of her face. I got one of her legs and feet where she is crossing her legs, a picture of her foot, and the one below. I like this picture because she has her hands clasped together and it looks like she is praying. I've wrote several posts about this day that I've read over again today. The day it happened, my memory of the day, Anthony's perspective, and one year later. Reading these brings it back so fresh. I hope that I never have to live another day like it ever again. I wasn't sure how today was going to be. As we all know, grief is pretty unpredictable but I assumed that I would get through it fine. I assumed wrong. It still hurts 2 years later. These words are just so fitting. And they make me cry. This year has been harder than last year. I don't know why. It doesn't make sense. It's supposed to be easier to handle 2 years later but it's not. The events of this day have been playing in my head over and over again. 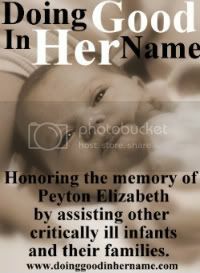 I don't understand why it had to be this way or why it had to be our baby. Only God knows why and I'm trusting in Him that there's a greater purpose. I can say I have seen the good that has come out of my daughter's death-the effect it has had on people-and it makes me proud. Not of myself, but of my daughter. I'm proud of what she has done and the gift she has left behind. I stopped by the cemetery after work. It was peaceful and snowy and very glittery with the sun reflecting off all the snow. I didn't stay too long but long enough to visit, tell her that I missed her and loved her, and leave her a little message in the snow on top of her grave. Thank you to everyone who entered my giveaway for the 25 Days of Giveaways. 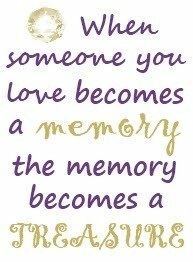 I wish that I had a memory box to give to each and every one of you. Rachel at Three Butterflies and a Monkey!!!! I'm excited that you won this wonderful memory box. I will send you an email! 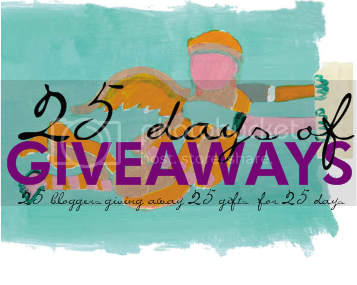 I am glad to be participating in the 25 Days of Giveaways. Last year was so wonderful! Thank you Tina again for putting this all together! I thought about what I wanted to do for my giveaway and for a while I just wasn't sure until one day I came across a shop I had visited before called Paradise Hill Designs. The way they work with wood reminds me a lot of my aunt and uncle who made Carleigh's memory chest so I wanted to give that gift to someone else. "Our passion and speciality is creating beauty from aged wood. We are always fascinated by its interesting character markings and rich colourings - ranging from attractive weathered greys to warm sunburnt browns. It begins with our reclaiming boards from old buildings, barns & fences or collecting wind-fallen pieces on our walks through the forest. Our method is to carefully sand the boards, retaining lots of patina, but at the same time bringing out a smoothness and warmth that just begs to be touched - our customers repeatedly call this the 'rustic refined' look. Working with old wood does require time & patience - no two boards are ever alike (and none are straight!) - but the reward is a piece that feels warm, earthy, even soothing. It is our pleasure to design and create new pieces from the old boards - ranging from unique, original gifts such as woodburnt earrings, pendants and keepsake boxes to home accessories such as picture frames, desk sets, mirrors, candle holders, clocks, trays and game boards. 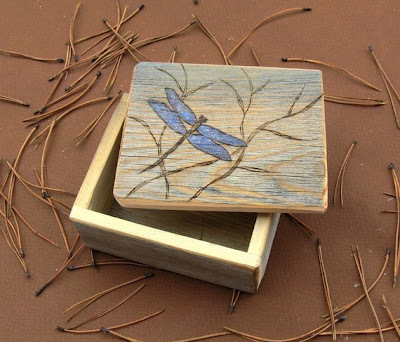 Nature inspires us greatly and many pieces are embellished with exquisitely engraved woodburning designs of nature motifs and delicate hand painting. Each piece receives its own individual touch, with the intention to evoke a feeling of beauty, comfort and inspiration." Doesn't their work just sound amazing? Well, it is! 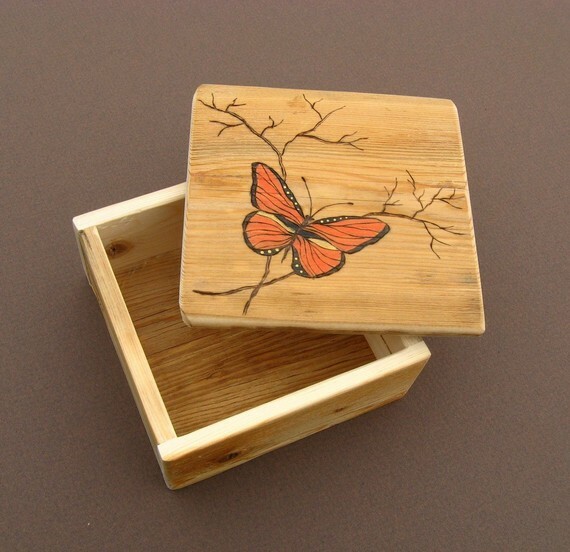 Here are a few examples of their work that would make a beautiful memory box. 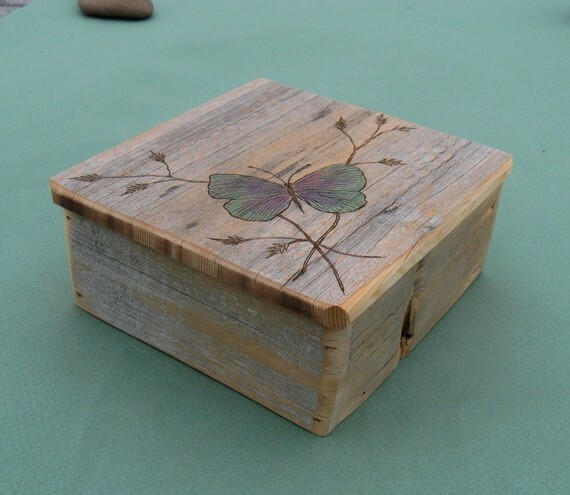 For this giveaway I am offering a chance to create a custom memory box by working with Rick and Heidi. The box will be 8 in x 8 in x 4 in and the top can have a personalized etching of the winner's choice. I'm so excited for someone to have this opportunity!! To enter you must be a BLM. Just leave a comment below! The winner of the 5.1.5. Designs bracelet is Karen!! Congrats!! I'll send you an email! Fourth Prize: Always In My Heart Charms -Ten winners will be chosen to receive a charm! Check out the My Forever Child blog on ways to enter. Today I'm holding a little pre-Christmas giveaway for anyone who has lost a child. This giveaway is for a custom bracelet designed by Brittani from 5.1.5. Designs. You can visit her gallery to see the different products she offers and for just a few examples of her bracelet designs. 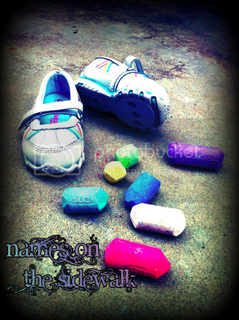 Below is just a few that she has created. I was lucky enough to win a bracelet through a giveaway she had and she does a great job! To enter this giveaway just leave a comment and a way to contact you (if your email isn't on your profile). 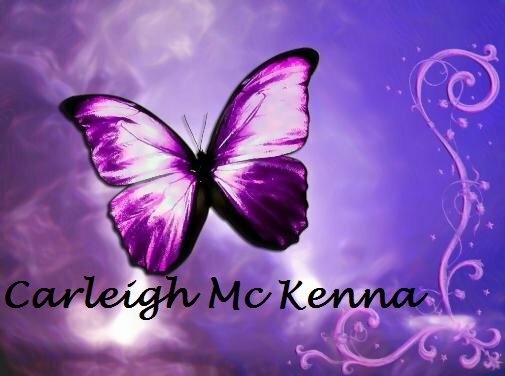 If you follow my blog you are entitled to an extra entry (perk!). Just leave a separate comment telling me that you follow. This giveaway will run from now until Friday at 11:59 pm EST. The winner will be announced on Saturday.